After the inauguration of the Policeat Belgaum, IGP Bhaskar Rao was the acting commissioner, now S Ravi (IPS) will take charge from Bhaskar Rao as the full-time commissioner of police of Belgaum. 47 year old S Ravi holds a B.E (Electronics) degree and hails from Bangalore. He knows English, Kannada,Tamil, Telugu, Hindi, French as per the departmental records. 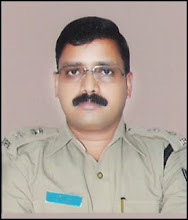 He was recently made the Joint commissioner of police (Law and Order) Bangalore West. Earlier he has served as the SP of Gulburga. I was driving on my bike today afternoon and a boy in a car in front of me kept throughing litter on the road and I made an effort to stop the car n found out two small boys in a car and one of the boy was driving the car without license …… I am bit surprised . Boys in the car were not even sorry abt the act ….. Car no is KA 22 Z 0130 I have also taken picture of the boys n car .